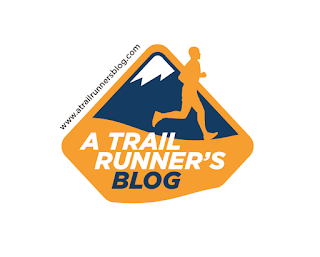 The race schedule has been expanded to include 11 different events, adding new races such as the Banderas 100k, Cheaha 50k, and the Where's Waldo 100k. 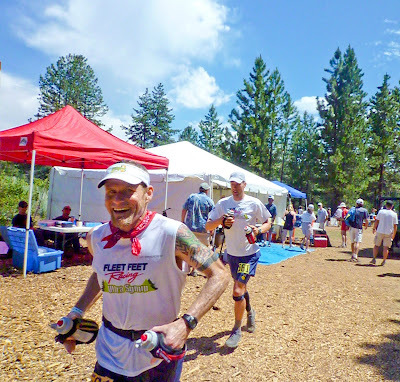 Western States slots will only go to the top 2 men/women at race, and only at races of 50 miles or longer. Scoring will now be based on finishing time vs place. You only need to run two races to be in the running, and your best 4 count towards your score. 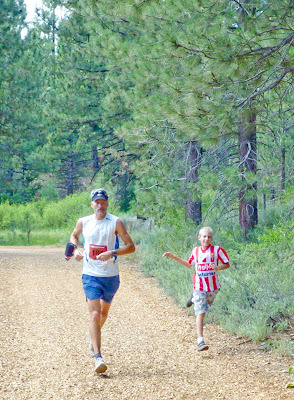 Western States is no longer a required race to compete for the grand prizes. 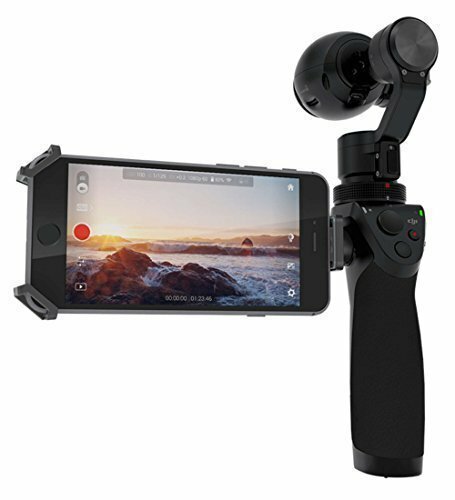 Still has mega-cash prizes for the top winners. See their Web site for more details. You do need to register before any races to get points, so be sure to do it if you are interested. It starts with the Where's Waldo 100k in just a few weeks. Wanna get stoked? 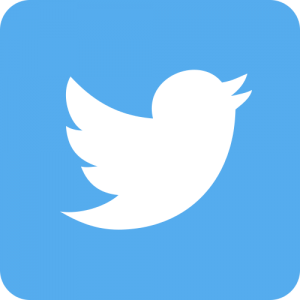 Check out their promo video. 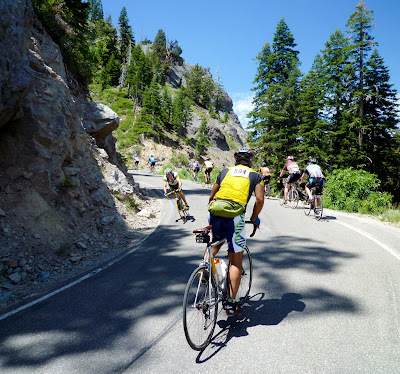 Last Saturday, I geared up with five friends to tackle The Death Ride, a 130-mile cycling adventure through the Sierra Mountains near Markleeville, CA. 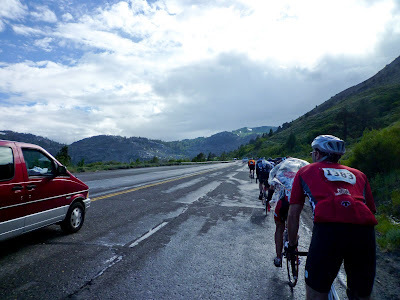 We got a bit of everything on this ride – sun, wind, rainstorms, 15,000’ of climbing over five peaks, and the exciting adventure of nearly missing a cut off and having to put down the hammer at mile 100. But at the end we were all smiles and already thinking about next year. I had a great team for the ride, including Brian and Dan (who crewed for me at States), my brother Mike Dunlap (out from Maryland where there aren’t many hills), and our good friends Chris Devine and Mark Dabell. 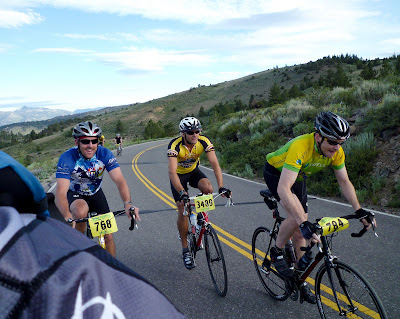 They were all tackling this hilly monster for the first time (I had done it in 2007), and eager to finish all five peaks to get that coveted pin and jersey. I was playing “domestique” for the day to return the favor to Brian and Dan for their awesome job of crewing at States. At 5:40am, I filled my backpack for any emergency I could think of, and we coasted through Markleeville and headed into the first climb. We took it easy at first, noting that despite our early start we were probably in the back 1/3 of the 3000 riders already. After asking around, it was clear that most people had shown up in the dark and took off once there was enough light, whereas we had targeted 5:30am and left 20-30 minutes after the pack. 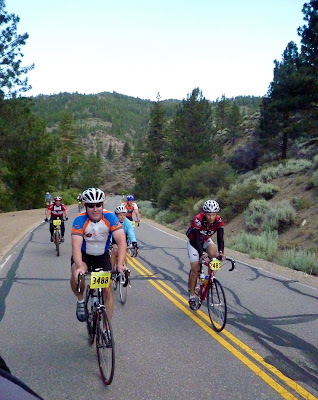 The hills were dotted with colorful jerseys that snaked their way to the summit, and the only sounds were of the chatter riders and local wildlife. No cars sure is great! 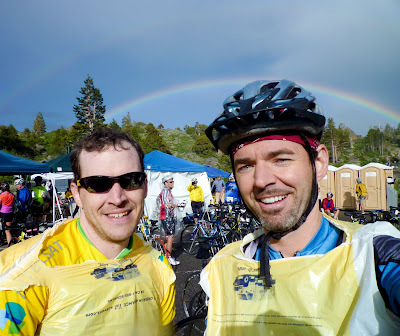 Brian and Dan were the most dedicated cyclists in our group, and both had already logged five centuries this year. 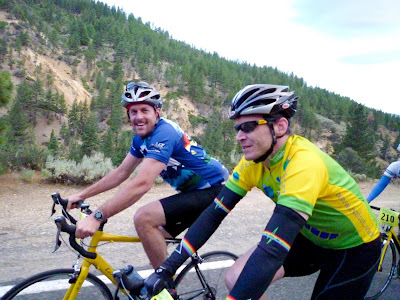 Chris, Mike, and Mark were leaning more on their natural athletic ability (running, hockey, and mountain climbing respectively), only recently clocking some time on the bike. 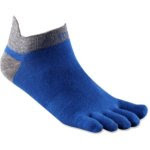 I was mostly recovered from States – just a few missing toenails and a body that still wants to sleep 12 hours a night. We all had kids between the age of 8 months and 11 years too, and that definitely counts as cross-training. We made some rough plans to work as a team in the longer sections and stop at some aid stations, but for the most part, the course would dictate how we would ride. 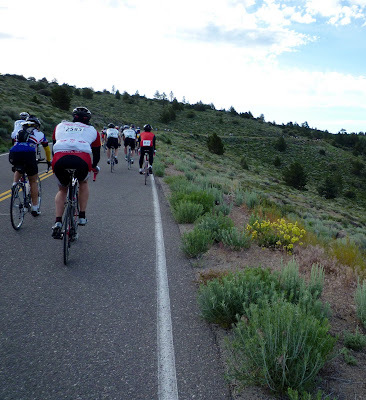 The first climb up Monitor Pass was steep and sobering, and we had a few moments of quiet as everyone humped through the more difficult sections. Chris, Mike, and Mark were unconcerned with the climbs, but shared some worries about the fast descents. Their hesitation quickly subsided once we reached the peak and plummeted down the smooth back side. 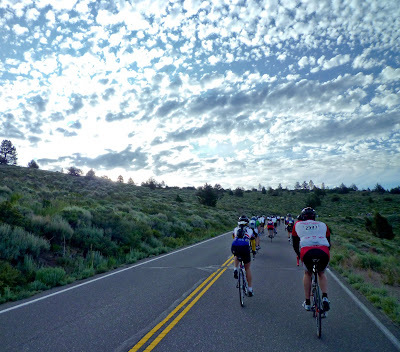 Each of them found their groove on these long, flawless roads, and surprised themselves with 45+ mph descents. We arrived at the bottom of the hill with our hair streaked back, full of adrenaline and ready for the climb. All three of them had clocked PR fastest speeds and hadn’t even known it! As we filled our water bottles (and I forced S! Caps on everyone) I chatted with Mark Gilligan, whom I had ridden with last year. 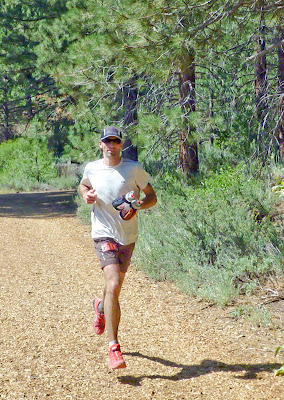 He was out having some fun and acclimating for the Tahoe Rim Trail 50m the following weekend, a plan that worked well for him in 2007 (he got 2nd at the TRT100). He grabbed a Vespa from me, hoping it would alleviate his lack of sleep (he was the only guy yawning at the bottom). I handed the sunscreen around, and we charged up the next climb. We took a longer break at the top to hit the restrooms and get some food. Brian noted that riding in a pack was going to add some time, so once most of the group was together, they took off down the hill. Just when I thought I had lost Mike, I pulled up alongside of him (he had been ahead of me…oops). We worked together to catch up to the others, and refueled before tackling Ebbetts Pass, the longest and hardest of the day. I offered some domestique advice and pulled out five bandanas for us to soak and put on the back of our necks. Brian added a step of filling it with ice, which was nice. The S! Caps were going down quickly, so I handed out little baggies of supplies and got everyone to apply sunscreen again. Then we were off! Ebbetts had us out of the saddle immediately, charging short sections of 20 degree grades. Back and forth we switched up the mountain, and the views grew more epic the more we climbed. It seemed to take forever to see the “4 miles to go” signs chalked into the road, but then again, we were only going about 5 mph. I reached the top first, and as agreed, we all skipped this aid station and charged down the 5 mile descent. 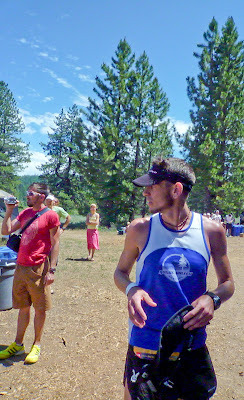 My first request at the aid station proved that we were definitely in the back of the race – no Coke left! They also ran out of bread for sandwiches, but the inventive volunteers made a special banana/peanut butter/oatmeal cookie treat to replace it. It took about 10 minutes for the gang to all rally together, and everyone was hoping for a rest. The provided chairs did just that, but noting the time, we cut our break short and headed back up Ebbetts for climb #4. I warned the gang that climb #4 was the most underrated. It didn’t have the long or steep of previous passes, but it had no flat spots and very little shade. We soaked our bandanas, handed out some snacks, and stuck close as we made our way up. We saw the sweep coming down the other side…it was much closer than we expected! We reached the peak, and charged down the other side. Brian quickly broke out on his own, with me in pursuit. The speedometer crept into the 50’s as we bunny-hopped the cowguards and made our way through the steep sections. When I came off the steepest section at full speed, I let a group slingshot me around and hit 65 mph! Well, that’s what the speedometer said anyway. My guess is I was around 60 mph. Still, very exciting! We stopped for lunch, chowing down on ham and turkey wraps before hitting the road again. I’m not sure if it was our pace, the waiting, or what, but suddenly we were dangerously within one hour of the cutoff. 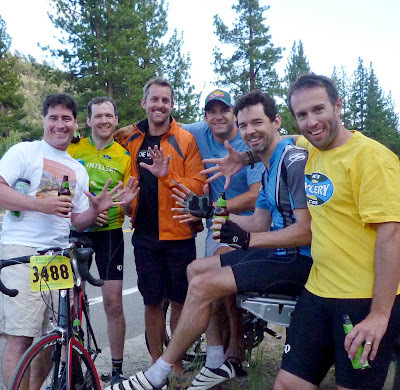 We worked with “Team Beer” (awesome jerseys) to make quick time to Markleeville and climb back up to our cars. Brian flatted, so we stopped to fix it. Mike and I dropped our gear at the car, and caught up with the group to see them fixing ANOTHER flat for Brian (this time the whole tire). Mike and I looked at our watches, and we were barely going to make it. Mike kept charging and I turned around to make sure they had all the right gear. They did, but there was no time to wait. Everyone took off as fast as they could. Mike made the cut off, and I got there second, just as they were setting up the cones to turn people away from the aid station. 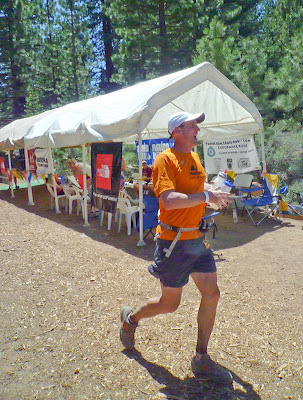 They said “you’re done”, but waived me in to the aid station to refill. 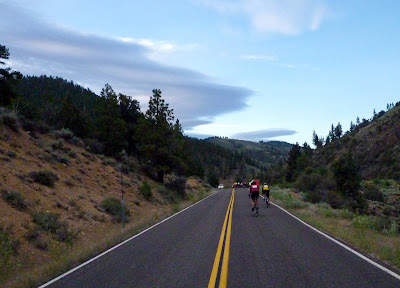 I saw others skipping the aid station and heading up the last pass, and one of the volunteers told me why it was important to stop – if you couldn’t make the next aid station by 5:15pm, it was very likely you wouldn’t get off the hill by nightfall. I asked “how far?” and they said six miles. I said I could easily make that cutoff, and they just shrugged their shoulders and one said “then you better get going…they won’t be lenient at the next one”. 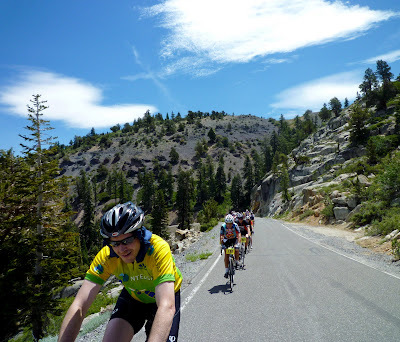 I clicked down a few gears and started climbing up Carson Pass. Mark had snuck in right behind me, and I explained the math. We had about an hour to go six miles, so best to put the hammer down. I got out of the saddle and charged like a madman, catching Mike a few minutes later. He knew the math too – better average at least 6 mph. But he was clocking about 8 mph, so he was right on track. We wondered about the others, and whether they got turned around. Knowing Brian and Dan, I doubt they would stop, and would reach that fifth peak officially or unofficially. For the next hour, it was every rider for themselves. I pegged my heart rate just under my anaerobic threshold and started passing as many people as I could. The traffic was heavy, so I had to wait for the breaks and then surge out into the lane. Each time I would focus on the next group of riders and how to get around them. 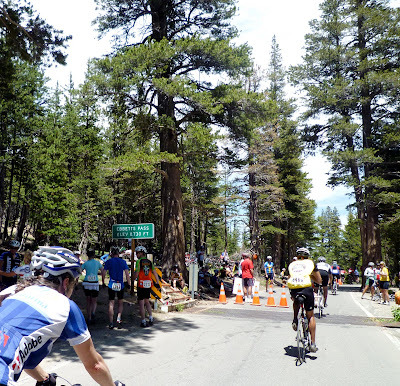 I passed 50, 90, 140 riders before seeing the final cutoff aid station and I charged in…4:30pm, still 45 minutes ahead! That was good for a couple of reasons. First, I was in the clear. Second, there was plenty of time for the others if they kept the pace. Lastly, a faster pace like this would get us up to the peak by 6:15pm or so, with plenty of light for the descent. I got off my bike and watched for the others. At first, I saw nothing. I paced. I fretted. What kind of domestique surges first to the cutoff? I looked again. Then they came! Brian and Chris first, both looking strong. The official cutoff was still 300 yards up the road, so I refilled some bottles for them and they took off. Mark and Mike weren’t too far behind, so we did the same. I got a glimpse of Dan, who had 10 minutes to spare, so I jumped on the bike and took off with Mark and Mike. We were all going to make it! Not so fast, said Mother Nature, and the rain and wind began. What started as a light drizzle quickly became a sideways wind that blew riders all over the road. Chris and Mike tucked in behind me, and we caught ourselves laughing out loud at how instantly the weather became so crazy. The rain was pouring off my visor, and I leaned 20 degrees to the right to stay upright. 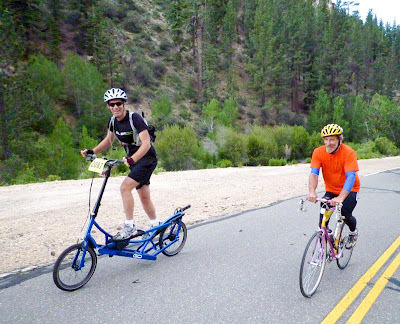 This made it tough for drafting, since Chris and Mike would have to ride in traffic to take full advantage. A few miles later the rain broke, but the wind kept howling. 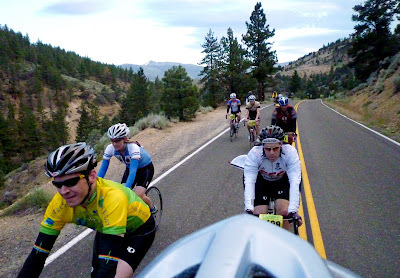 Chris latched onto a faster rider to go catch Brian and Mark, while Mike and I kept our pace. Mike said “sorry I’m yo-yoing”, saying his energy was borderline bonk. But honestly, I was pretty impressed that his pace was still enough to be consistently passing people. We made a few new friends as we went into the last climb (brothers in arms, for sure), as I assured people over and over that this was truly the last climb. Every time I got out of the saddle, I looked back and saw Mike do the same, his face the epitome of focus. 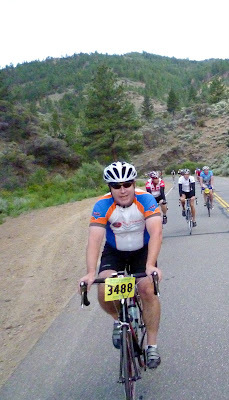 He only broke a smile when we coasted into the last aid station and got our stickers for the fifth pass. Fudgesicles never tasted so good! Brian, Chris, and Mark were on their way out, noting that it was going to be a cold and wet descent. Mike and I slammed down our ice cream, grabbed a couple of plastic bags for makeshift vests, and headed out. Just as we started the descent, Dan came in. Sure enough, all five made all five! Mike cruised the descent tucked in behind a tandem bike, while I used a BMW to pull me through the flat spots and keep my speed in the 40-50 mph range. I pulled up to our cars, where the boys were already changed and into their first beer. As Mike and Dan came in, there were high fives all around. We piled into the truck and headed to Turtle Rock for some food and “3 for $10” Sierra Nevada Pale Ales. I looked in my backpack, and we had gone through all the bandanas, all the sunscreen, over 40 S! Caps, and a ton of snacks. But what I saw was five happy five-pass finishers, all hydrated, and no sunburns. A domestique couldn’t ask for much more! Although stressful at the time, we all shared how fun it was to have to go hard at mile 100. The five pass jersey felt a bit more “earned”, you know? Certainly nothing like the Tour de France, where you would race this stage hard, then add 20-odd more just like it over the next three weeks. But still, it was good to be forced to find something in ourselves to push hard. Brian had missed the cut off and was told he wouldn’t get a fifth sticker even if he did summit; that turned out to be enough rage for him to make one of the fastest splits all day (and yes, he did get the sticker). 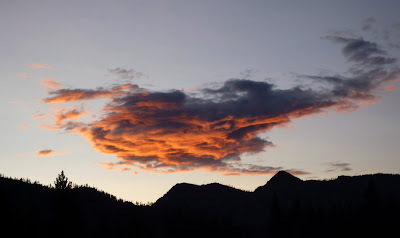 Now off for a few days backpacking on the John Muir Trail to get “off the grid”. Hope you all are having a great July! 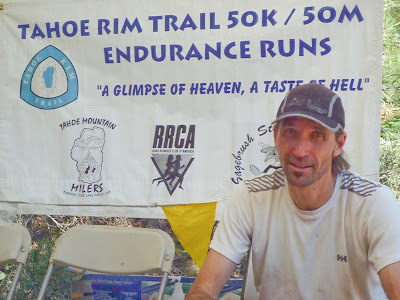 I know Leor Pantilat said his winning times at Way Too Cool 50k and Skyline to the Sea 50k were partially attributed to being laid off. Looks like he's not the only one! the Wall St Journal had an interesting article today about the correlation between the down economy and increased marathon participation. Full article here. 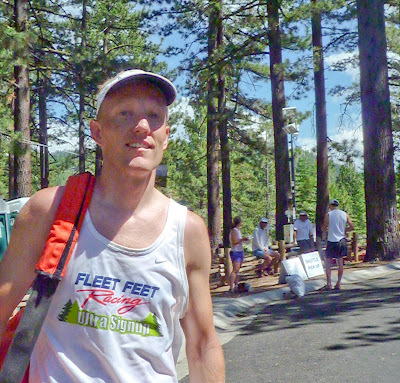 Longtime runner Ray Gobis posted a 3:09 at the Boston Marathon in April—his personal best. The cause wasn’t a new training technique or the perfect weather. It was because Mr. Gobis got laid off. “Other people might go into a cocoon or something. Me, I’ve done the opposite,” says the 47-year-old Mr. Gobis, who lost his job in November as director of operations for a printing company. 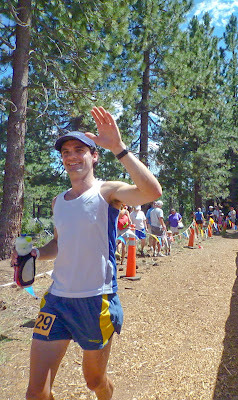 With his new-found leisure time, he has amped up his regimen to 60 miles a week and joined a competitive running group. Americans might be poorer, but they certainly aren’t slower. With the economy in the doldrums, more people are discovering that without those 12-hour workdays, they’re able to pursue fitness goals like never before. Marathons, triathlons and road races are filling up in record time. Some evidence suggests that laid-off marathon runners are actually helping push up the level of competition within their age groups. Olympic-level competition could even go up because more elite athletes coming out of college are opting to pursue their athletic goals rather than look for work in a dismal job market. The effect on races around the country is difficult to quantify. But by one benchmark, marathoners have gotten faster. Athlinks.com, a Web site that tracks millions of race results, says 2009 has seen marathon times improve in nearly every age category. Using the 2010 Boston Marathon qualifying times as a baseline, the site looked at marathon results to see how many runners would qualify today based on previous races. The conclusion: This year alone, 4.6% of marathoners have run times that would make them eligible for Boston—a 39% increase over 2008. Curiously, performance times in the past six years peaked in 2006, then slipped in 2007 and 2008. Troy Busot, who runs Athlinks, says that could be because the job market was bad enough in 2007 and 2008 that people had less time to train and were under more stress. “I think quality started to drop when people were like, ‘Uh oh,’ and had a little bit of anxiety,” says Mr. Busot. Then in late ’08 and into 2009, extensive layoffs gave runners more time to train and, in some cases, less stress. “I guess the ones who don’t have a job will get faster and the ones who are desperately clinging to a job will get slower,” he says. Adding to the significance of the speedier marathon times is the fact that 2009 has seen a big jump in participation, up 5.1% this year, according to Athlinks. More participation means more beginners, and slower times. Simply speaking, times should be slowing down, not speeding up. Participation in marathons and triathlons can be costly, too. The New York City Triathlon, which costs $225 to enter, filled up in 22 minutes this year, compared to eight hours last year. Zach Goldman, a triathlete from San Diego, describes himself as “funemployed.” Mr. Goldman, who was recently laid off from his high-paying commercial real-estate job, says he has enough time to train nearly full time and enough money saved up to travel the world racing and figuring out what he wants to do with his life–which is probably not commercial real estate. “That wasn’t all that fulfilling,” he says. “I’d like to do something more meaningful with my life,” he says—ideally in a career that will allow him to train longer hours. Mr. Goldman is currently in Israel, competing in the Maccabi Games, an international competition for Jewish athletes. Rob Vermillion, executive director of the Oregon Track Club Elite, which trains Olympic hopefuls, says elite track-and-field athletes coming out of college these days are more likely to pursue their athletic careers because the job market is so slow. “The economy is so terrible that they might as well run,” he says. As a result, Mr. Vermillion says the team, which caps membership at 20 people, has had to cut world-class runners who would in all other years make the cut with no problem. When Chris Bennett was training as a runner, living in Palo Alto, Calif., in 1999, he had to make a tough decision: Live the life of a pauper to continue training and have a shot at one day winning a gold medal, or go into business during the IPO craze of the late 1990s. “You were giving up millions in stock options to chase the Olympic dream,” says Mr. Bennett, who eventually gave up his running career for a big paycheck in finance. Nowadays, he says, the decision is a lot easier–young athletes should just go for it, he says. “You’re not giving up as much because the economy is so bad,” he says. Of course the full effects of the economy on amateur athletics are still a bit murky. And if the hiring outlook improves, the high participation levels could be just a small blip on the radar screen. But the changing economic landscape could forever alter the way Americans view recreational and competitive athletics, as more people discover the joys of training and competing. IDEA Health and Fitness, a fitness-industry association, says average gym membership went up 18% this year, to 3,394 from 2,866 last year, at the group’s member clubs. The first event she and her business partner put on, the “She Rocks” women’s triathlon, nearly filled up, with more than 400 women participating. “I was blown away when I got home from the race and within two hours, I was getting letters from people thanking me for asking them to pay $80 to swim, bike and run,” she says. For the company’s next event, Ms. Solomon is considering offering a discount for people who can prove they’ve been laid off in the past six months. Claudia Becque was distraught when she was laid off in January. 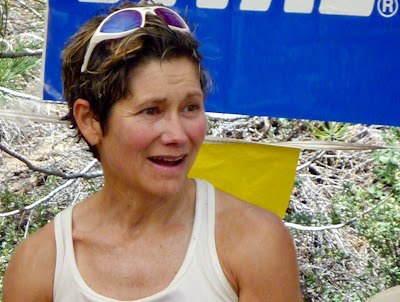 Then she ran a 2:44 marathon time, slashing 14 minutes off her previous personal record—and close to Olympic level.